Conference tour is included in registration fee for Regular participant (Accompanying person should apply separately). - dinner in “The Oven” restaurant. ◊ 12:45 – Meet at Atrium, 1st floor, Building No.34, Kokushikan University. ◊ 13:00-13:45 – Depart to Odaiba. ◊ 14:00-16:00 – Visiting MORI Building DIGITAL ART MUSEUM teamLab Borderless. 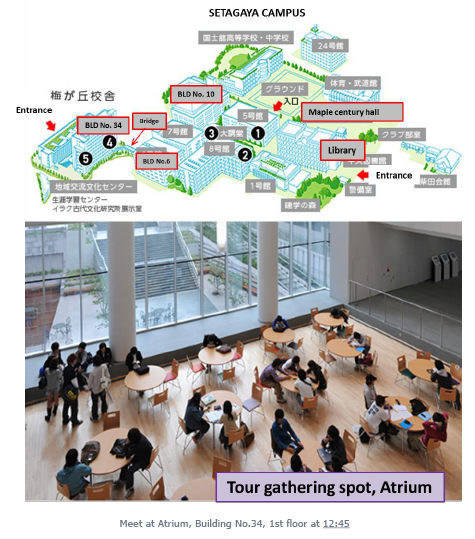 ◊ 16:00-17:30 – Free sightseeing in Odaiba. ◊ 18:00-19:30 – Dinner at ​American Buffet The Oven restaurant .